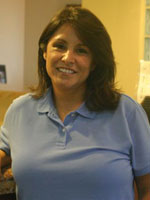 Angela has worked in the office since 1992. She now mostly works part-time behind the scenes to make sure the practice runs efficiently and patients’ needs are taken care of. Jeannie is originally from Philadelphia, PA and graduated from La Salle University. 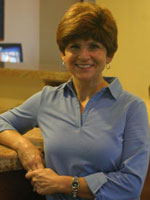 She has been in California for 20 years now and in the field of dentistry for 39 years. She enjoys working in an office which is progressive and has such a great team. 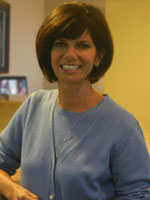 She says: “The best part dentistry is interacting with our patients. The relationships with the patients that develop over the years are precious. 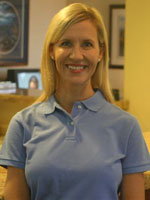 Laura has been with us for over 14 years now and has been in the dental field for 29 years. We feel very fortunate to have her with us and her genuine care and concern for our patients is unparalleled. She loves spending time with her family where their motto is “smile and always have fun”. Together they enjoy activities such as snow and water skiing and going to the beach. Nahid has been with us for 22 years and we have enjoyed every one of them. She is Dr. Godino’s chairside assistant and right hand man (person). She has such a beautiful and bright smile, which unfortunately we cannot take credit for, but if you’d like one just like it we can certainly do that for you. 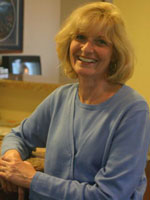 She resides in Mission Viejo with her husband Ken and has two lovely children, Mike and Mojan. 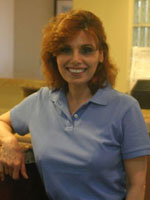 “I have worked with Dr. Godino since July 2004 and feel fortunate to be a part of such a positive and dynamic team. I love the work I do and look forward to providing the best care to each and every patient.